Mussoorie was the destination chosen by the college authorities for its class of 2004 to celebrate its last overnight picnic. Students were very excited about this trip and had made plans since long before the D-day. Raj and Mita had made plans of their own which they hadn’t yet shared with their group of friends, Nitin, Asha, Poonam, Arvind and Tarun . It was going to be an epic surprise for them all. On reaching the hotel, students had been assigned rooms on twin sharing basis. Mita had been paired with Asha while Poonam had to share her room with someone who wasn’t part of their close-knit group and she was pissed about it.There was a camp fire planned for the evening and everybody was excited about it. 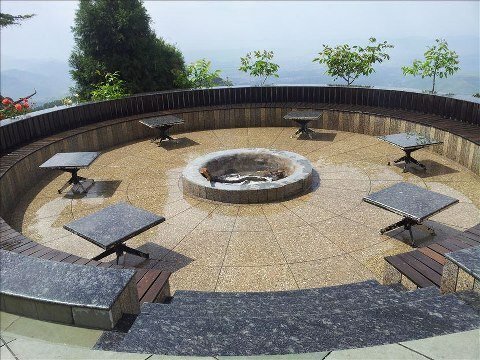 The hotel was situated on top of the mountain and was surrounded by valleys all around. Raj and Mita were seen dancing near the edge of the dance floor right next to the spot where the deep valley looked like a yawning giant dinosaur. The DJ stopped playing the music for a few moments to announce the principal’s impending speech but at that moment a blood curdling scream sent shivers down the spines of all gathered around the campfire….